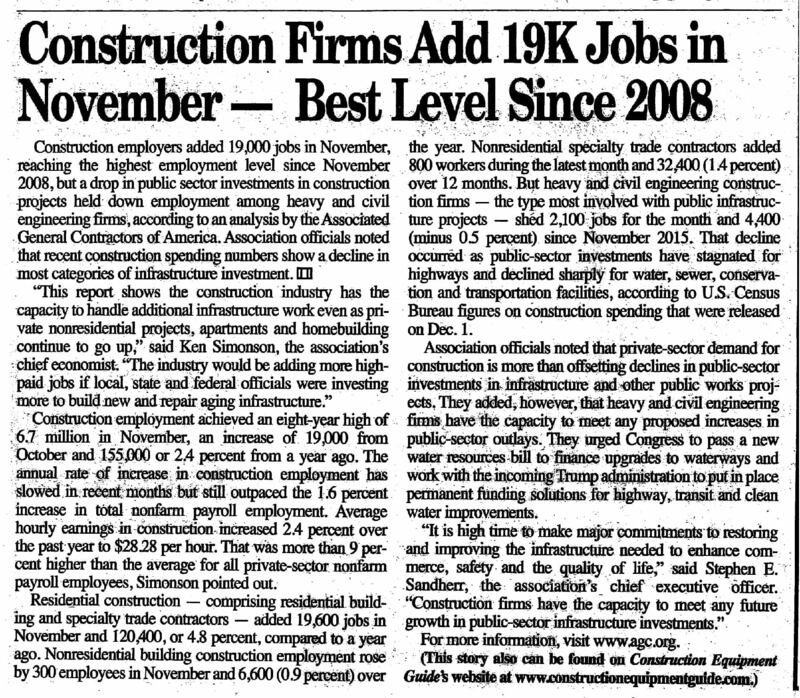 Being a part the construction trades, we at AAA-1 Masonry & Tuckpointing have observed what the article affirms: private sector construction activity has been increasing steadily and, apparently, outpacing the corresponding decline in public sector construction activity. As a masonry restoration company, AAA-1 Masonry & Tuckpointing has benefitted from the steady growth in demand for private sector construction activity, yes (a rising tide lifts all boats). But from my perspective, the bulk of our company’s growth since taking over the reigns of the company more than a decade ago is directly attributable to our artisans’ critical attention to detail, insistence on quality and craftsmanship, and impressive communication with our clients. I am extremely proud to have the opportunity to work with such talented and motivated men and women…many of whom measure their tenure at the company not in years but in decades! Thank you for allowing us to remain an industry leader in the field of quality masonry restoration. We wish you and your family good health, peace and prosperity and a very blessed New Year.